Today we’ll take you through how to use Huobi Prime (in three simple steps) and then walk you through a few of the key changes we’re putting in place this time around — among them, a change that should help ensure that all qualified participants get at least some of the premium coins they desire in our third round. Step 1: Getting Ready — Do You Have Enough HT? TIP: Don’t have 500 HT? You can still take part — though you will have to establish a larger up-front holding of HT on our platform. Before the launch of a new coin through Huobi Prime, a Huobi Prime countdown clock and banner will appear when you log into your account at www.HBG.com and a smaller Prime logo will appear on the symbol for NEW on our mobile Huobi app. To access Prime, simply click on the Huobi Prime banner or logo. NOTE: Any information or prices contained in this screenshot is for purely illustrative purposes only. Actual prices may vary. NOTE: Any information or prices contained in the screenshot is for purely illustrative purposes only. Actual prices may vary. 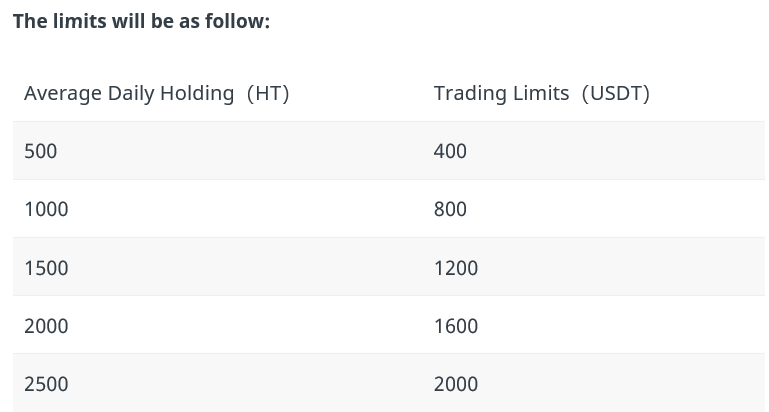 In order to address this — and to ensure a greater number of premium coins are spread across a greater number of our users — we’ll be instituting an special Community Round for our third round of NEW trading. One final reminder; we will be dedicating a full 50% of our supply of NEW tokens — all 1,000,000,000 of them — to that third round.